The United States maintains a multibillion dollar trade deficit with its trading partners, but that amount narrowed considerably at the conclusion of the first month of the year, newly released government data confirmed. Based on Commerce Department numbers obtained by Reuters, the U.S. trade deficit fell nearly 15 percent in January to $51 billion, the largest monthly decline in nearly a year. The U.S. ships a wide assortment of goods and services to various parts of the world, but soybeans are believed to be what helped narrow the gap considerably, with large quantities of the crop sent to China. Starting in 2018, China and the U.S. have engaged in several rounds of retaliatory tariff strikes, the U.S. attaching $250 billion worth of taxes on imported goods sent by the world's most-populated country, and China responding with multibillion dollar duties of its own. Officials from the Trump administration - sitting U.S. Trade Representative Robert Lighthizer and Treasury Department Secretary Steve Mnuchin - have visited China in recent weeks to speak with lawmakers there to see if a deal can be reached. President Trump has stated on several occasions that recent discussions have led to progress, which may explain why he decided to postpone the tariffs scheduled for March 2. Meanwhile, the trade deficit the U.S. maintains with China also contracted in January, down 6.4 percent from the previous month to $34.5 billion, Reuters reported. Many different industries rely heavily on imported goods, retail in particular. The production and distribution supply chains tend to ramp up during the holiday season, then take a bit of a reprieve in springtime before picking up again in summer, when travel and vacations intensify. This provides added context for why imports in the retail sector have slowed down a bit, according to the data from the National Retail Federation and Hackett Associates. "Now that the holiday season is over and summer has yet to crank up, this is the quiet time of year for retail supply chains," said Jonathan Gold, NRF vice president for supply chain and customs policy. "Retailers are also taking a break from the rush to bring merchandise in ahead of tariff hikes now that the increase that was scheduled for March has been delayed. We are hoping that the delay is permanent and, better yet, that tariffs of the past year will be removed entirely." As for what to expect in April, the forecast from NRF and Hackett Associates has twenty-equivalent units ramping up, increasing 7 percent on a year-over-year basis to 1.7 million. 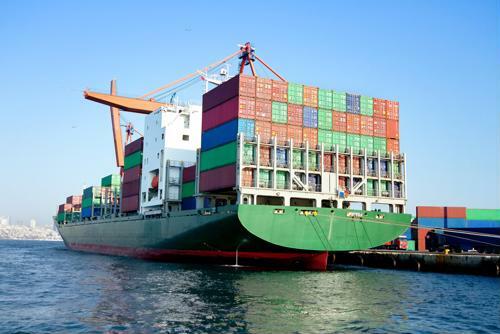 From there, TEUs are anticipated to rise 3.3 percent in May, 1.7 percent in June and nearly 3 percent in July, to 1.96 million.